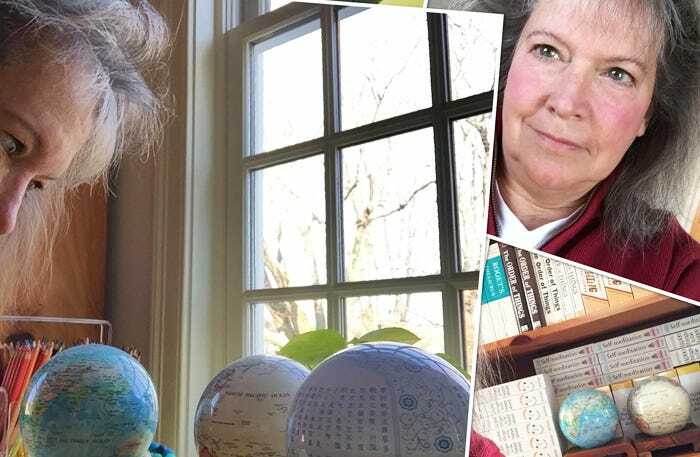 Whereas last month we were to able to chat with a longtime MOVA Globe owner, we had the pleasure this month of speaking to a customer who prides herself on collecting MOVA Globes, author Barbara Anne Kipfer. We were amazed that she has as much enthusiasm for the globes as we have for making them. 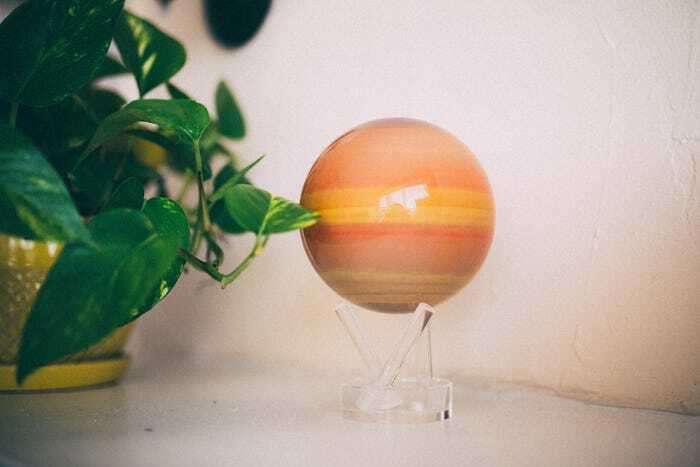 She shares with us the spark behind her collection, pictures of how she decorates them around her home, and reactions she gets from people who have seen her many rotating globes. 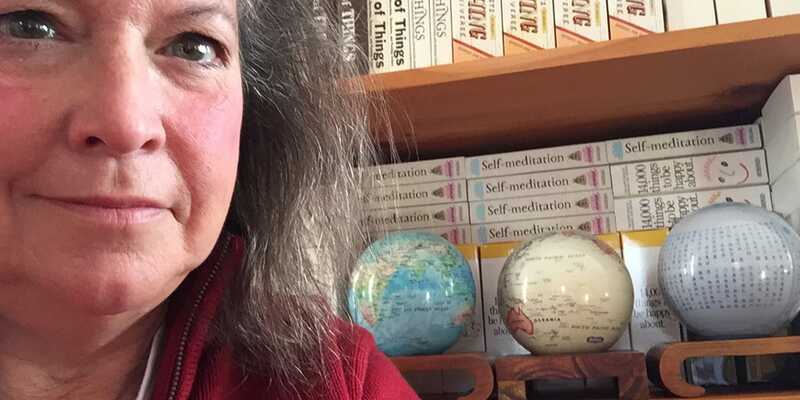 I am a lexicographer and the author of more than 60 books, including the bestselling 14,000 Things To Be Happy About (page 407 has the entry “world globes”), as well as thesauri and dictionaries, trivia and question books, archaeology reference, and happiness and spiritually themed books. I hold PhDs in Linguistics, Archaeology, and Buddhist Studies. How did you hear about MOVA Globes? Please tell us the whole story. I saw them for the first time in a store in Kennebunkport, Maine. I just loved that it was a new take on world globes. All these years we have been spinning them ourselves. MOVA globes satisfy our imaginations, which definitely think of the world spinning – even though we are sitting still. After that trip, I immediately bought my first MOVA Globe, which was the Blue with Relief Map. Barbara’s first MOVA Globe, the Blue with Relief Map MOVA Globe, pictured here on an Arched Wooden Base and decorated with other inspirational items. Which was the first MOVA Globe design that you purchased and why? I bought the Blue with Relief Map MOVA Globe which is closest to looking like the world globes of my childhood. Some of my most prized possessions were my world globe growing up, then a huge globe in a wooden stand that my husband got me, and the last gift I received from my father before he died was a miniature globe. 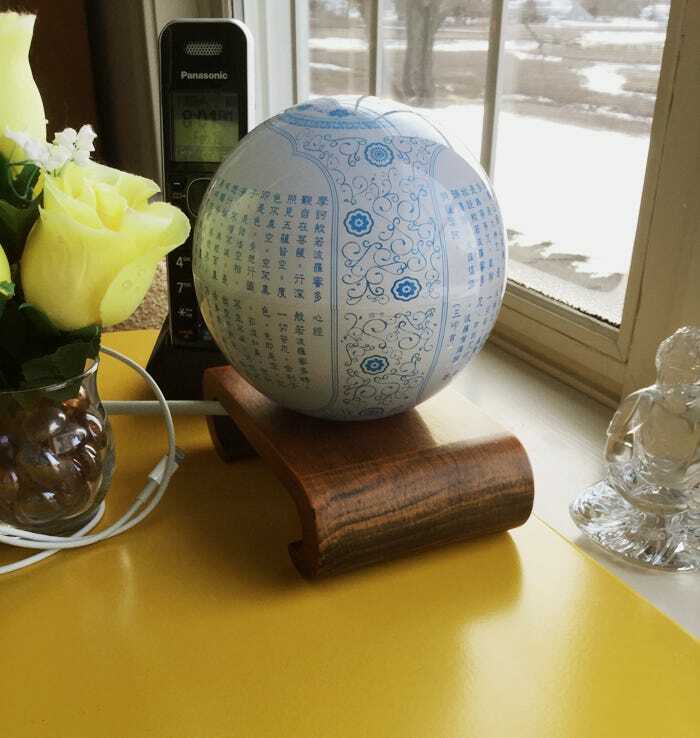 We also have the Antique Beige and the Blue Prajna Paramita MOVA Globes. 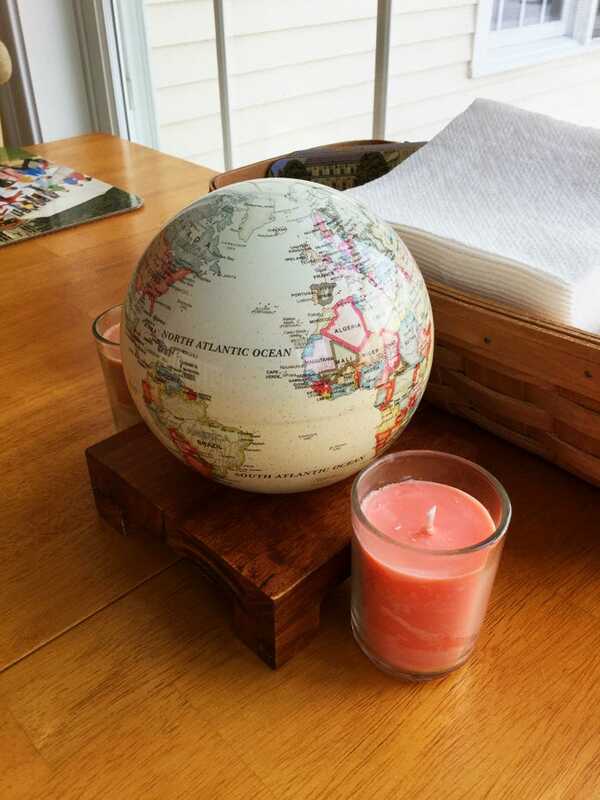 The Antique Beige MOVA Globe paired with candles – a soothing combination. How did you begin collecting more MOVA Globes? Which one is your favorite? Every time someone came to our house, adult or child, they were drawn to the globe. The first was on the kitchen table. I work from home, so the next one was for my desk. The third was for the living room. 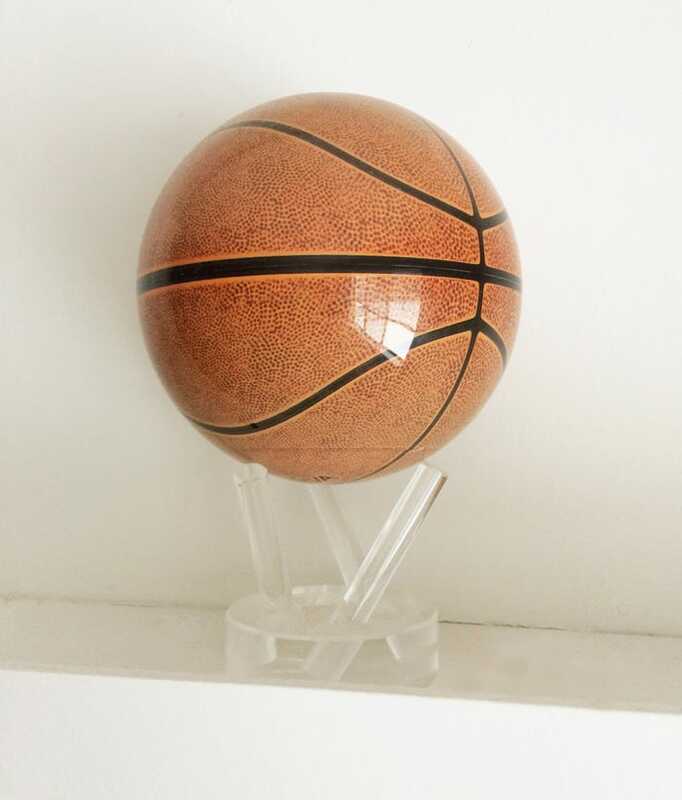 When ours sons moved out, I bought each of them one for their apartments: the Basketball for our son who coaches basketball and Saturn for our son who loves astronomy. It is very hard to choose a favorite. The Blue with Relief Map is probably still my favorite. I may buy one of the art globes someday. They are fantastic. The Basketball MOVA Globe Barbara gifted to her son. Could you tell us how your experience has been with the globes? We also bought globes as presents for relatives. We bought the Satellite View with Cloud Cover for my father-in-law. People who have been to our house and seen them have bought them for their houses. Everyone loves the soothing movement of the globes. So many items in our homes and offices are static. The MOVA Globes are alive! The Saturn MOVA Globe Barbara gifted to her other son, pictured here alongside a lovely plant. How do you use the globes in your everyday life? I am pretty deficient in geography, so I’ve always appreciated that MOVA Globes refresh my memory as to where things are! Where do you display them? Any tips for how to decorate? I have two in my office now, one on my desk. I am hogging them! And one is on our dining table in the sunroom. I bought the Arched Wooden Bases for each, which is a nice complement. Our sons love the clear acrylic stands that come with the globes. 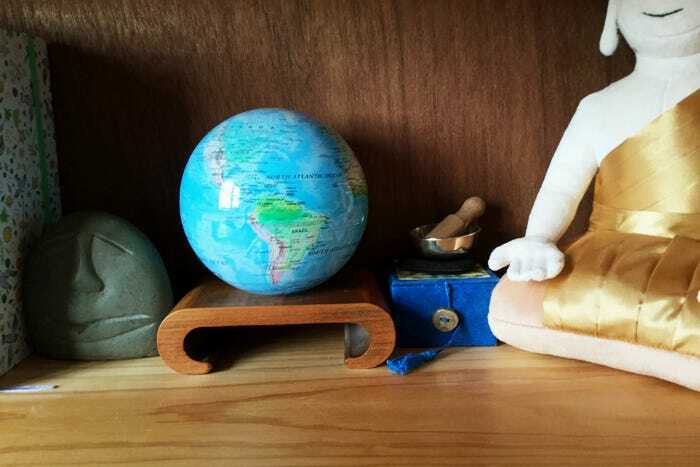 The Blue Prajna Paramita Heart Sutra, which features a notable Buddhist scripture, is placed aptly next to a Buddha figurine. How have friends and family reacted to your collection? Any memorable interactions? We had the sunroom added to our house. The builders loved the globe and bought one. Some people visited us when they were on a major road trip with their kids. When the kids came in the house, they flew across the room, straight to the MOVA Globe! They really do grab your attention. What’s your dream design for the MOVA Globe? A snow globe! A scene of mountains with snow. The Grand Canyon and other mountain ranges would make awesome MOVA Globes. Do you have any words for other MOVA Globe owners or people interested in buying one? Once you have one, you will want more! They are unique and beautiful. Most of us who collect things can definitely identify with Barbara – what started as a simple gift or item has evolved into a prized collection of things we love. We’re glad we got the opportunity to speak with Barbara and hear about how her enthusiasm for our products. This gives us the inspiration to keep doing what we do. Do you have your own MOVA Globe collection? Share a picture of it with us on Facebook or email us at [email protected] to be featured on our blog!